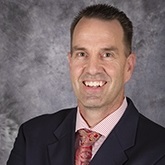 Rich was born and raised in Salt Lake City, played quarterback for Weber State University and coached football at the Division One level for 10 years at Weber State and Utah State Universities as offensive coordinator. He now coaches individuals on how to invest safely in their retirement plans. He has had his own radio program and was featured in Fox Business News emphasizing risk-free investments. Rich’s expertise is working with business owners utilizing advanced tax strategies to reduce risk and build tax-favored and tax-free wealth. Rich received his Bachelor’s Degree in Communications and his Master’s Degree in Education from Weber State University. He is currently licensed to sell Property & Casualty, Life and Health insurance, as well as annuities. With his expertise in analyzing risk, Rich is well qualified to help business owners evaluate their opportunities to reduce tax, legal, and market risk through the use of Captive Insurance Companies. A Captive Insurance Company enables owners of small to medium sized businesses to create positive leverage and to grow assets in creative ways that other business owners cannot do.